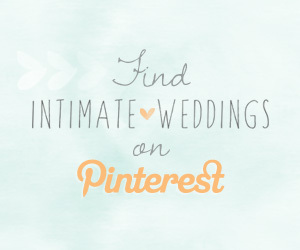 You don’t need a ballroom, palace or a lengthy guest list to take inspiration from regal weddings. This look is all about embracing the rococo details from 18th Century France. To bring this look forward into modern day; focus on mixing pastel colors with gold. 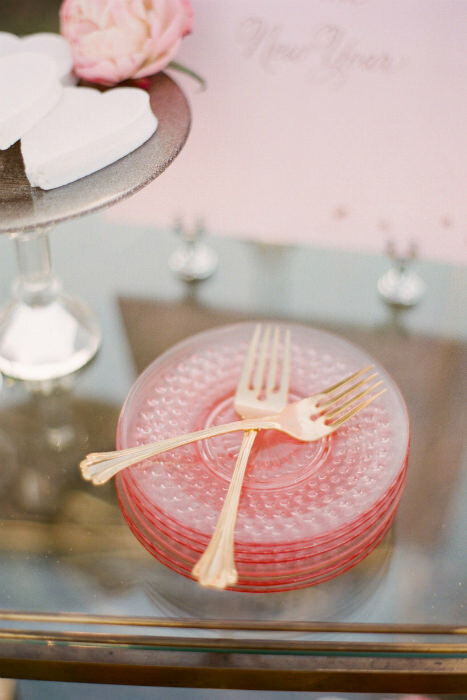 This is an opulent trend that you can incorporate into your decor and budget easily. 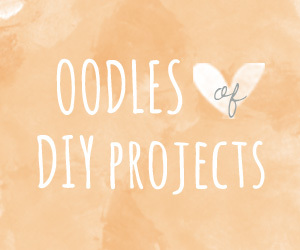 Combine some DIY projects with antique and ornate touches to recreate your very own Versailles. 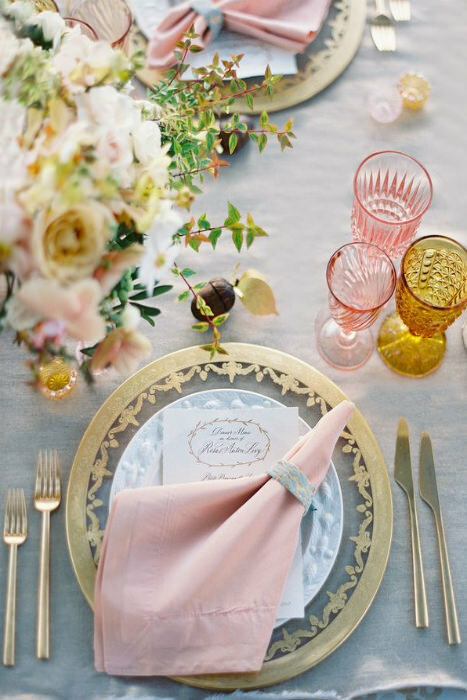 Gold cutlery and dinnerware paired with pink and blue napkins are a good base for your tables. 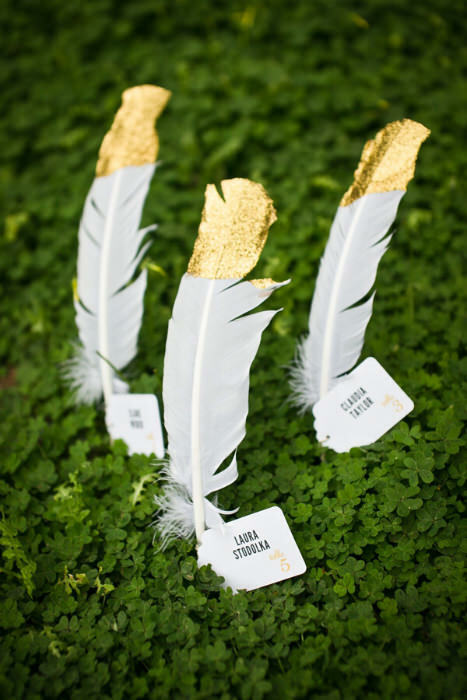 Feathers add a whimsical detail especially when dipped in gold glitter and used as table numbers. 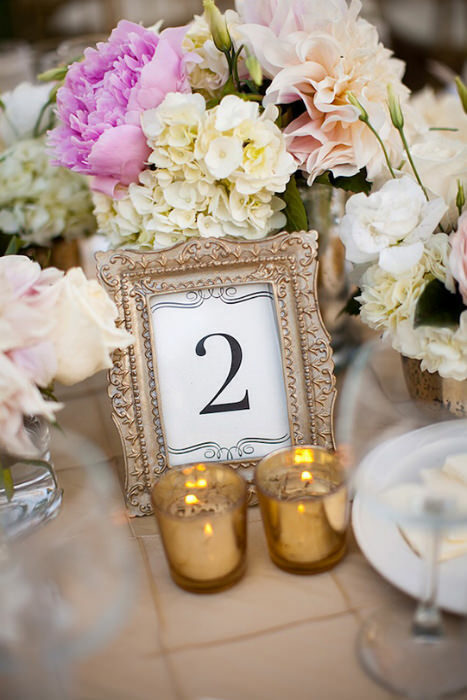 For another option, table numbers in gold frames are a great way to add some elegance to your settings, and the frames are easy to find. 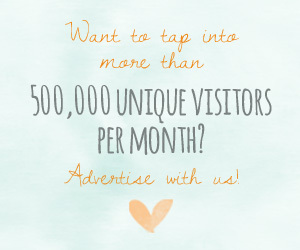 Marie Antoinette may not have actually said, “Let them eat cake” but we shall follow the advice nonetheless. 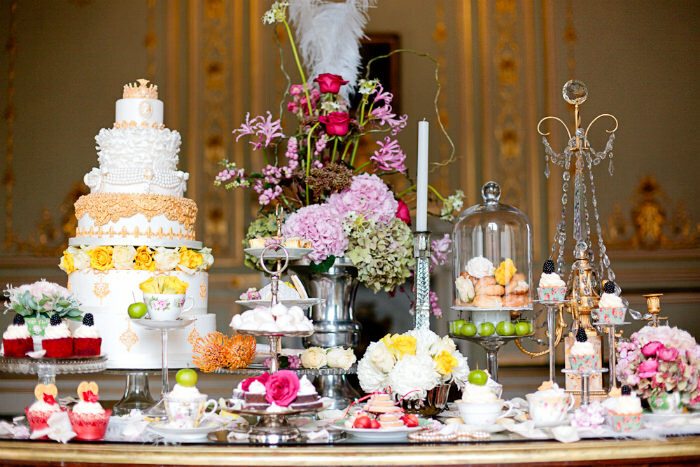 A stunning dessert-table is a must have for a regal-style wedding. 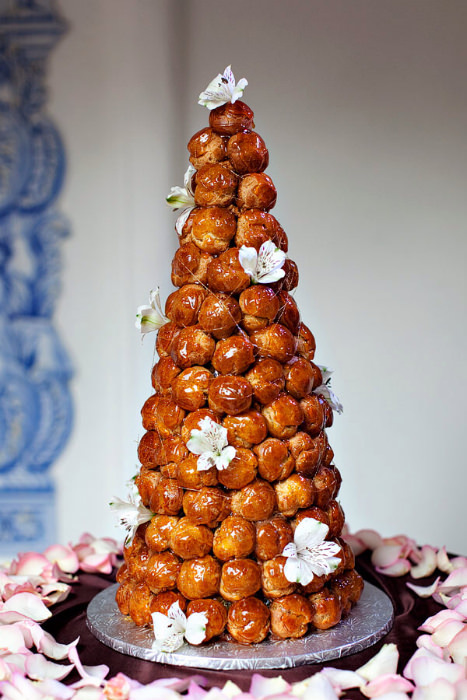 For a dramatic alternative to a wedding cake, go for a croquembouche – a French cone-shaped dessert of choux pastry balls and spun sugar. 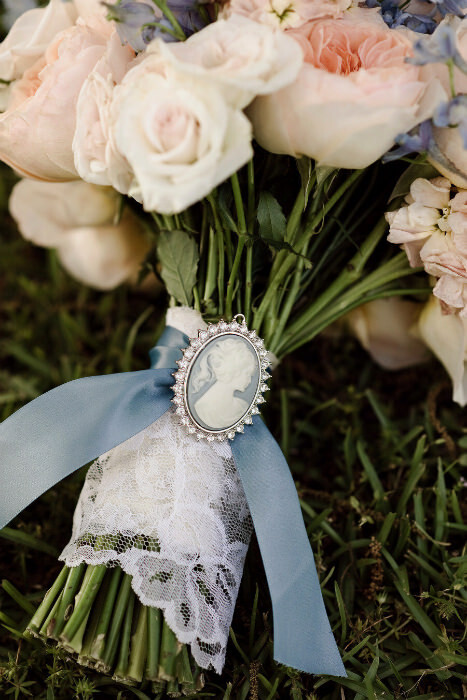 A pale blue, pink and white bouquet is in keeping with the color palette and a cameo brooch is the perfect finishing touch. 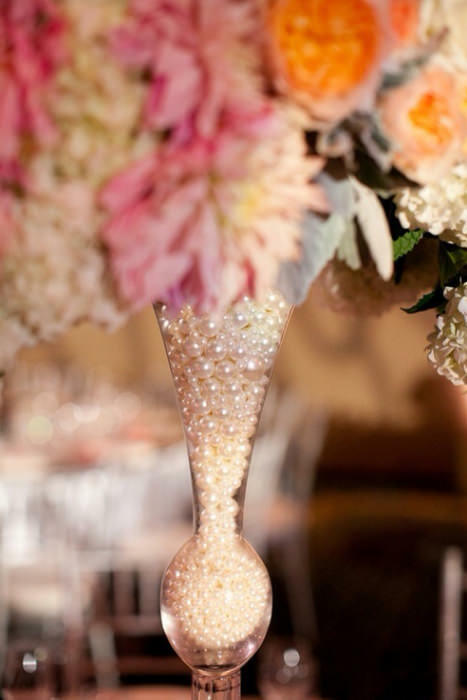 Pearls can be a classic addition to your decor and look gorgeous in vases with floral arrangements. 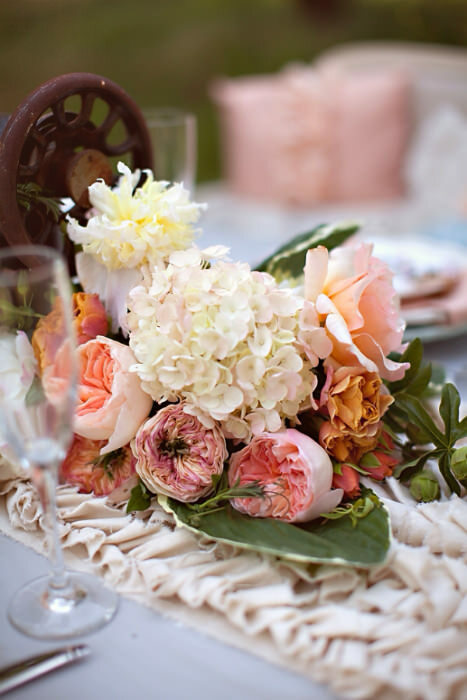 To add some texture to the centerpieces you can add a ruffled runner. 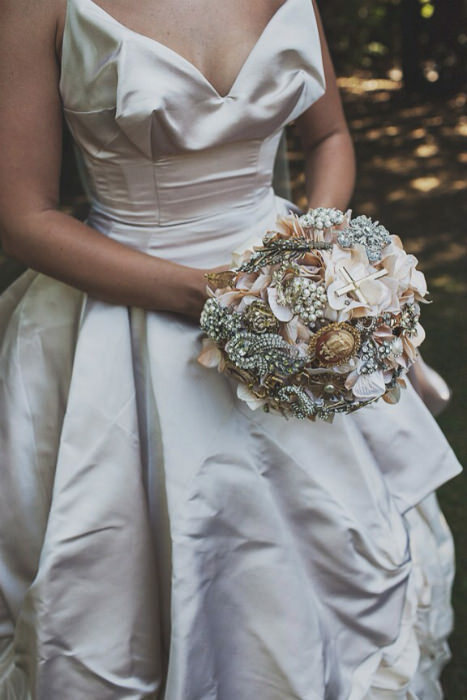 To work this trend into your bridal attire, take inspiration from 18th century dress and focus on volume. A pink dress is not only on trend but perfectly encapsulates the extravagance of this look in a more muted way. 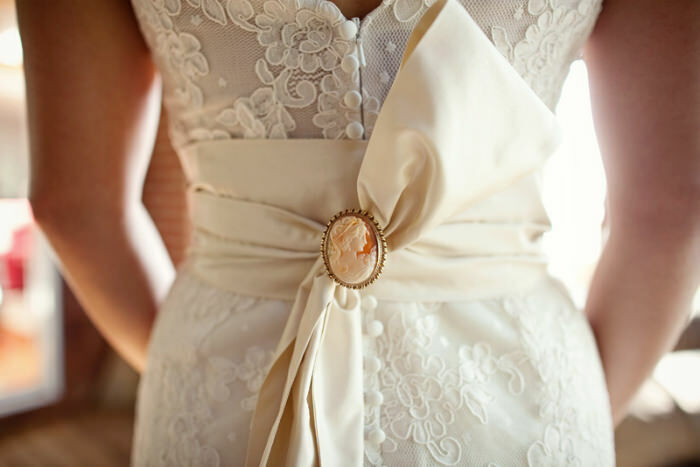 An antique cameo on the back of the dress is a small detail that can be added to any style.